Noel Gallagher thinks all musicians are "f***ing idiots"
The High Flying Birds frontman doesn't have many friends who are also rock stars, and he insists he finds most people in the music business annoying. When asked by AVclub.com if he would join a super-group of other musicians, he said: "Oh f***k that. I don't f***ing mix with anybody, British or any other musicians. I tend not to hang out with musicians. You know why? Because they're f***ing idiots." 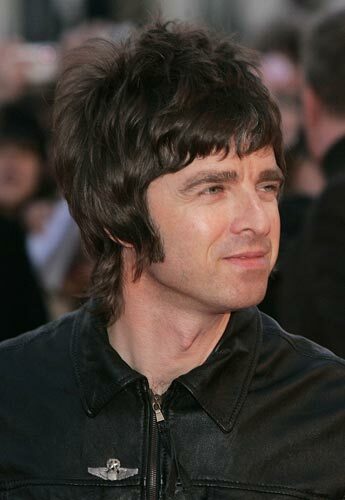 Noel was previously the guitarist in Oasis, but he quit the band after a huge pre-gig bust-up with his brother Liam Gallagher - who was the group's singer - in August 2009. The pair have not spoken since, and are unlikely to reconcile anytime soon - even just as family members - because Noel finds it very hard to be a forgiving person. The 'Everybody's On The Run' singer said: "I'm sure [our mother Peggy] would be thrilled if we did [make up]. But really, I've got one true failing as a human being and that is, I find it very difficult to forgive people. I accept that, but that is the one flaw in my character that keeps me from being pretty much the ultimate human being. It's just something I have to live with. I don't do forgiveness."